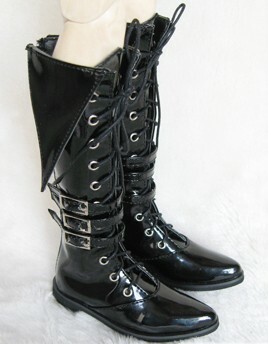 A brand new 1/4 BJD Dollfie Leather Boots. The boots have a zipper down the back. We also have these boots for (24"/60cm) 1/3 BJD dollfie (inner length:9.5cm boots high:17.0cm) Luts and other similar sized ball joint dolls. You also can choice colour in silver/white (please see the picture). If you have any question please feel free contact me.